When I was called on to join the High Level Panel (HLP) on Access to Medicines set up by the UN Secretary General, I jumped at the opportunity. I am still haunted by the memory of my Ugandan friends dying from HIV years ago because high prices kept the medicines they needed out of reach. This was – finally – a serious chance to rethink the global research and development (R&D) system to ensure all people have access to affordable medicines. Access to medicines has been the subject of intense debate for many years but this panel was different. It recognised that the intellectual property rules promoted by the pharmaceutical industry are at odds with the human right to health – a position which placed it in conflict with the powerful pharmaceutical lobby from the outset. It also recognised that access to medicines is not just a problem for poor countries or neglected diseases – but a global problem affecting people in rich and poor countries alike. The high price of medicines is crippling healthcare systems and denying people access to the treatments they so desperately need. In the UK, the National Institute for Health and Care Excellence recommended that the National Health Service does not pay for Kadcyla, a new medicine for breast cancer, because of its cost. The medicine costs £102,405 – almost four times the UK’s 2014 per capita income. In France, it was calculated that providing medicines to treat all people with Hepatitis C – which can cost over $100,000 per patient - would exceed the annual budget of the public hospitals in Paris. At the same time there is lack of investment in R&D for many diseases affecting poor people because they won't generate enough profit. So when Ebola hit West Africa and started affecting people in the US and Europe, the world discovered that the cupboard was bare – there were no vaccines, easy-to-use diagnostics or treatments for this deadly disease. 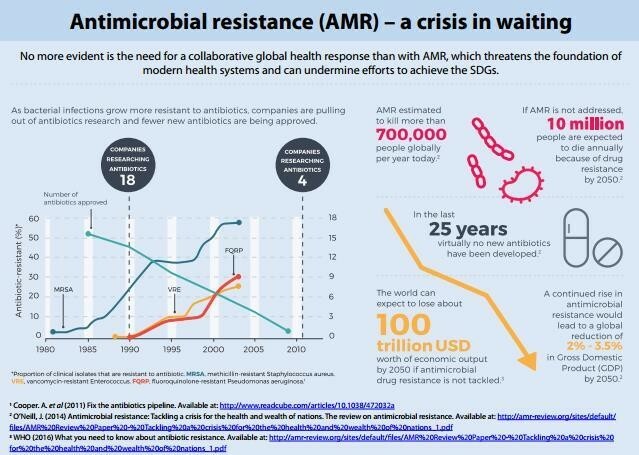 The current crisis of rising antimicrobial resistance – which was discussed by world leaders at the United Nations General Assembly earlier this week – is another case in point. While resistance to the antimicrobial medicines by so-called ‘superbugs’ has increased, pharmaceutical companies’ investment in R&D has massively decreased because of a lack of commercial interest. As a result no new classes of antibiotics have been brought onto the market in 40 years. Whether it is a lack of new medicines or the inflated price of new drugs it all boils down to the same problem – a global system of R&D that gives the pharmaceutical industry monopoly power over decisions on R&D and pricing. Under this system investment is directed at medicines that maximise returns, and prices are set to maximise profits. This system does not work for public health. The High Level Panel report, published last week, addresses this critical issue head on and sets out a series of recommendations that could change the way new medicines are financed and priced. 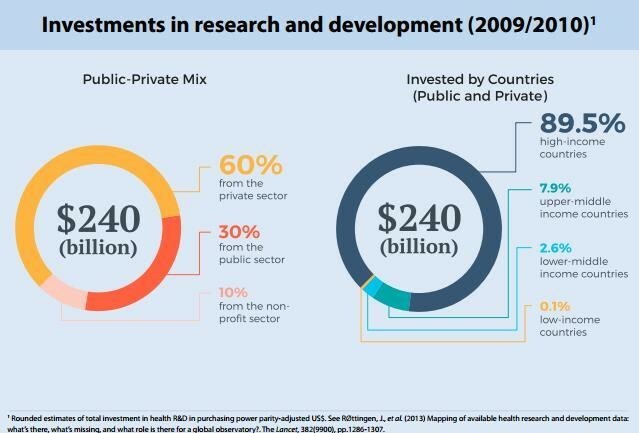 It calls on governments to negotiate a new global agreement on biomedical R&D based on the human right to health rather than commercial interests. In practice this means uncoupling the price from medicines from the cost of their R&D and increasing transparency so it’s clear what R&D really costs and how medicines are priced. It too means giving governments the power to protect their people’s right to access affordable medicines under international trade rules and free trade agreements and introducing significant sanctions against any country which attempt to undermine these rights. And it means making more public money available for R&D, particularly for medicines of little commercial interest. The report is not perfect and there are areas where I would have liked the panel to have been bolder, for example by recommending an immediate ban on intellectual property rules in free trade agreements. Nevertheless the report’s recommendations, if implemented, could go a long way towards ensuring all people have access to affordable, quality medicines. So what next? Even before the report was out, the pharmaceutical lobby and its backers started attacking the Panel and its report. The industry has made huge profits out of the current system and are, unsurprisingly, fighting hard for the status quo. They must not be allowed to succeed. This report is too important to end up gathering dust on some UN shelf. Therefore, as I personally thank the UN Secretary General for taking up this important initiative, I want to urge him to work with all governments to implement the report’s recommendations without delay. I would be thrilled to see a key part of Ban Ki Moon’s legacy being implementation of the High Level Panel’s recommendations, a critical step toward meeting the Sustainable Development Goals and leaving no one behind. Are the new health development goals realistic?.